Chubb Euro Safe Grade Two £17500 insurance rated beast which we opened for another happy customer. Mauer safe lock picked open without drilling or damage. 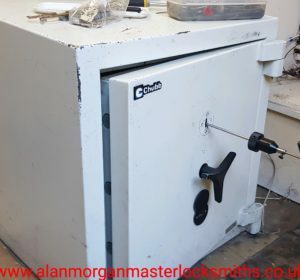 Professional safe opening in Nottingham, Newark, Nuneaton, Normanton, Narborough, Newstead, Navenby, Newhaven, Nether Edge, North Anston, Northampton.